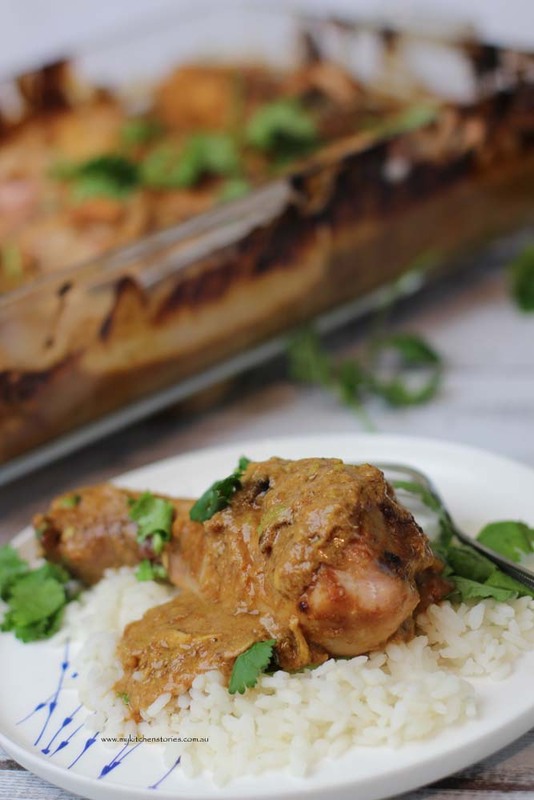 Tray Baked Chicken Satay, easy, one pot! A couple of weeks ago I banged out a tray baked Green Chicken . It was such a good idea that I wanted to explore the idea more. Sometimes I don’t want to stand over the stove. I don’t want to stir and add, or fuss around, I just want dinner to cook itself…. and that’s just what this idea is about. 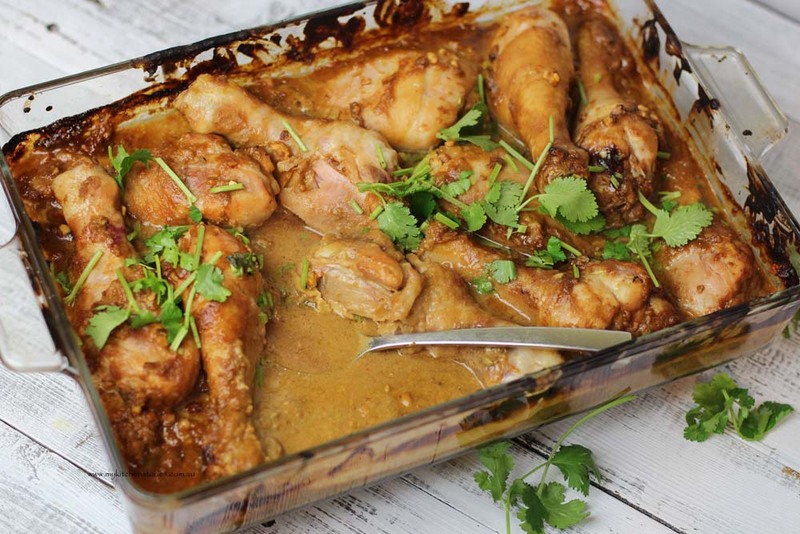 Imagine the best Chicken Satay and then imagine it baking all by itself. Yep Tray baked Chicken satay! I had a bit of a run on the peanut butter last week, making a couple of recipes. Do you like peanut butter? I love the roasted crunchy stuff the best. You could use any peanut butter you like, crunchy or smooth, but for this I like all the crunchy little bits in the sauce. Pour the sauce over the chicken and turn the chicken over a bit to coat it. Sprinkle with salt. Serve with coriander and rice or noodles. 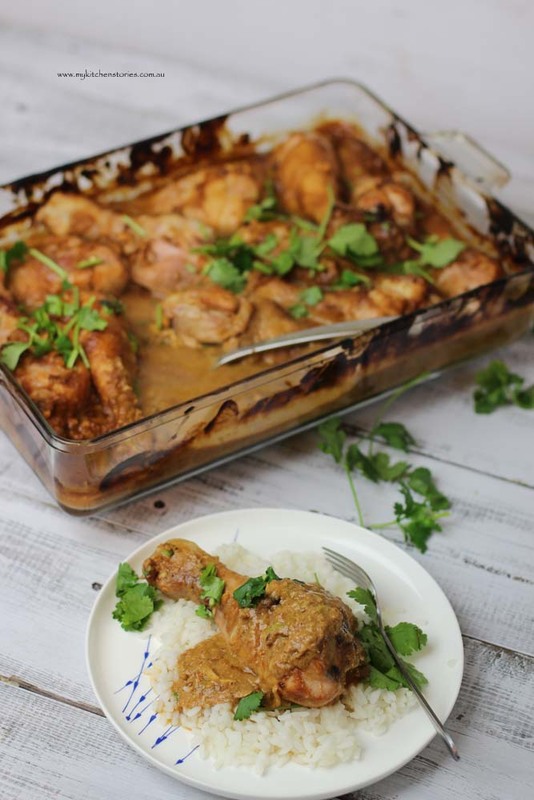 This looks delicious and you can never go wrong when chicken is involved. I like that you used the crunchy peanut butter and the fact you don’t have to watch over it. With the weather heating up, standing over the stove sounds ghastly. 🙂 This dish, however, sounds fantastic! Wow, this dish looks superb. I love rice especially when paired with chicken and this is just spot on. Thanks for sharing the recipe. You had me at Satay! How smart is THIS to do it in the oven! Genius! Love the idea of baking the chicken this way. 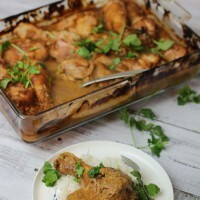 Satay sauce is one of my favorites!! 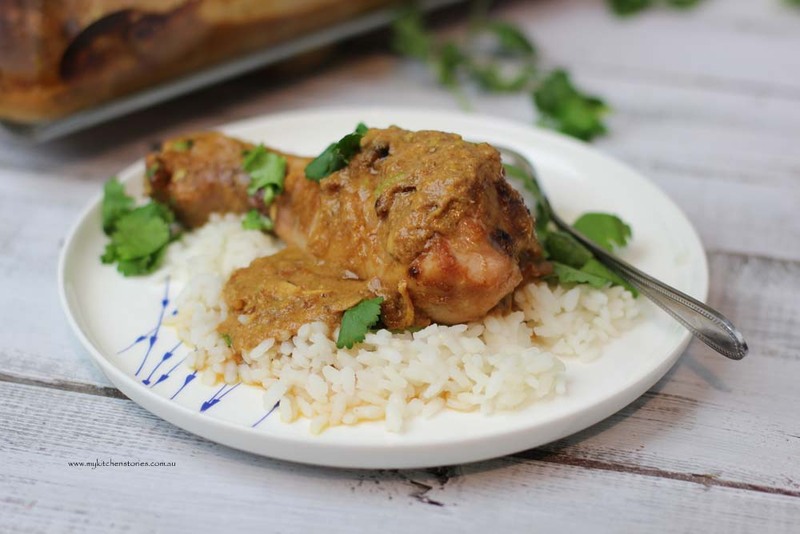 Even though I love chicken satay, I’ve never made it at home, but I seriously need to! This looks great! I have not ever made my own chicken satay! I think I will start with your recipe! This looks fantastic!! This is just heavenly. It’s what I would want on a sunday evening! Looks dreamy!! This looks so delicious! Love that you used chicken legs too! Did I miss something because I couldn’t find where to put the coconut milk in and what temperature to cook it in…. it’s ok for me, as I’m an everyday cook but for those just starting, it’s not helpful…. Hi Veronica thank you for your email. you are correct when adding all of the ingredients into the first mix I left out the coconut. Thanks to you it is corrected.